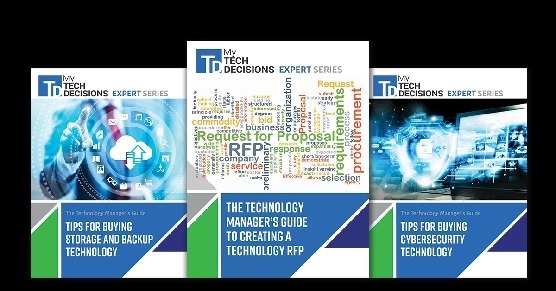 In today’s episode of My TechDecisions Podcast, TD Editor-in-Chief Tom LeBlanc steps in to speak with Andrew Rinaldi and Rob Simopoulos, Co-Founders of Defendify. Defnidify is a software as a service (SaaS) company that offer cybersecurity solutions, specifically targeting the SMB market. The goal is to give smaller companies the type of help and resources that are afforded to larger, enterprise-level organizations. These organizations carry their own teams of cybersecurity professionals, and for most SMBs that’s not a luxury they can afford. Defendify tries to accomplish these goals by simplifying the cybersecurity process. They boast a fun, energetic staff that can put things into laymen terms and aide an organization through its cybersecurity portfolio. They also push employee training – a multi-layered approach to cybersecurity that hits all of the potential pitfalls. In this interview Andrew and Rob discuss how they came to start a cybersecurity practice in today’s landscape. They explain what drew them to the idea, and why they decided that cybersecurity was a gap in the as-a-service IT space. Andrew and Rob also discuss some tips and tricks that any organization can put into place in order to bolster its cybersecurity portfolio. They focus on engaging and training the employee staff in order to ensure that human error is taken out of the equation as much as possible. Finally, they discuss the overall idea of cybersecurity as a service, and what a cybersecurity partner can do for an SMB. Taking themselves out of the equation, they give tips to companies for determining the right cybersecurity partner to receive managed services from. They emphasize certain characteristics that will lead to the best chance for a meaningful partnership with a cybersecurity firm. Check this interview out if you’re interested in strengthening your organization’s cybersecurity portfolio, or if you’re looking to hire an outside consultant or firm and need help figuring out how to decide on the right partner.